(SPOT.ph) It used to be that buffets would be reserved for celebrations and other special occasions. A ticket to unlimited enjoyment at a smorgasbord fetched for a hefty price tag. Not anymore. If your health allows it, you can have it every day, in fact. You may have your favorite mall or hotel buffet, but when money's a little tight, here are options around Manila that will cost you less than P300 per head! 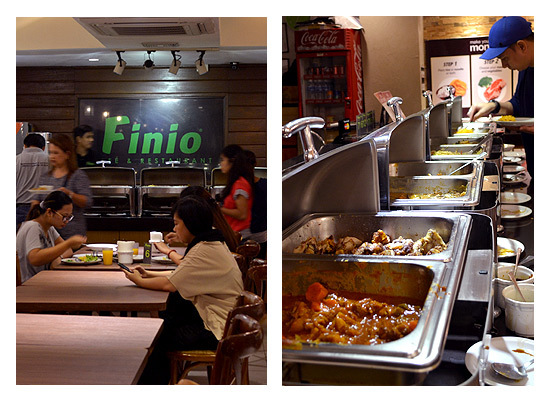 Finio is a cozy 70-seater all-day buffet restaurant that serves eat- and drink-all-you-can Asian-Filipino cuisine. Most of their customers are balikbayans, families, professionals, and barkadas who are out to have a feast for an affordable price. 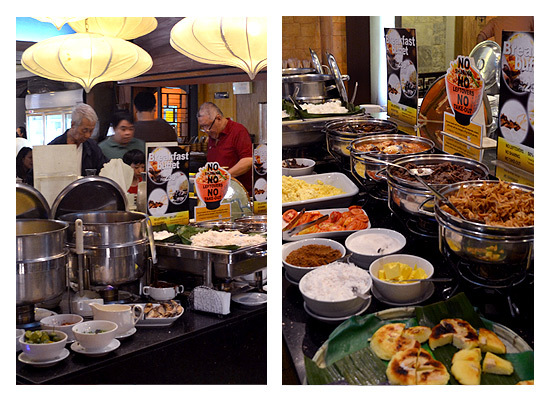 Buffet Picks: Crispy Pata and Mongolian cuisine! Other Deals: Bring 10 regular-paying guests on your birthday and the celebrator gets to eat either lunch or dinner for free! 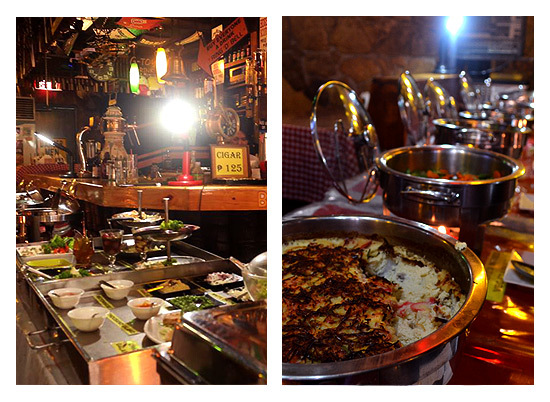 Finio Restaurant is at 220 Tomas Morato Avenue, Quezon City (415-1278); open daily from 6:30 a.m. to 10 p.m. Proud to be the first dessert buffet in the Metro, Love Desserts has been satisfying the cravings of dessert lovers since 2011. Aside from their sweet treats, they also have snacks like lugaw and singkamas with bagoong—because you need a little break to fully unleash your sweet tooth on their selection! Price: P199. Customers are only allowed two hours in the restaurant. It comes with unlimited drinks, like milk tea and ice-blended coffee. Other Deals: Birthday celebrators should present a valid ID (with a birth date, obviously) to get a free meal...so long as you bring at least one full-paying adult. 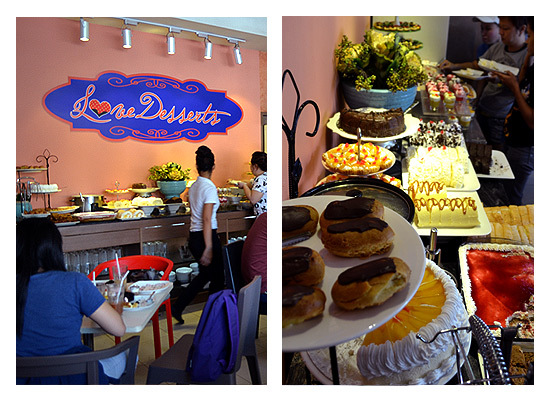 Love Desserts has branches at 915 Banawe Street, Quezon City (239-0745) and Pearl Drive Commercial Center, Commonwealth Avenue, Fairview, Quezon City (427-1204 ); open daily from 11 a.m. to 11 p.m.
GPoint looks like a pub more than anything else. Their affordable buffet features 13 cold dishes and 18 hot dishes, with American, British, Korean, Arab, Japanese, and Scandinavian pretty well represented. Customers who want to work up an appetite (or take a little break) can play pool for free from 11 a.m. to 5 p.m.
Price: P299 (11 a.m. to 3 p.m., Monday to Saturday; 1 p.m. to 3 p.m., Sunday). This fee excludes drinks. Customers are expected to be done after two hours, but they're pretty relaxed about this unless there's a huge crowd. Other Deals: Crazy Hours are from 3 p.m. to 5 p.m. and get your drinks for low, low prices. A bottle of Tanduay Ice costs only P25 and their special drink for the day only costs P65. GPoint Smorgasbord and Bar is at 510 Padre Faura Street, Ermita, Manila (310-2174); open from 11 a.m. to 3 a.m. (Monday to Saturday) and 1 p.m. to 3 a.m. (Sunday). The restaurant has been around for over 22 years and has remained steadfast in satisfying their customers with great food for good value. It's one of the oldest institutions along Katipunan Avenue, but the dessert-oriented name may lead people to forget that this place serves a mean breakfast buffet. Price: P230 (6:30 a.m. to 10 a.m., Friday to Sunday). This is inclusive of drinks. Shared plates will be charged accordingly! There's a no-sharing, no-leftover rule. Café Sweet Inspirations is at 311 Katipunan Avenue, Loyola Heights, Quezon City (928-2557, 433-4200, 0917-705-7943); open daily from 6 a.m. to 11 p.m. The Mediterranean-styled Somethin’ Fishy at Easwood City Walk is something of a legend amond students and working night owls for its midnight buffet. 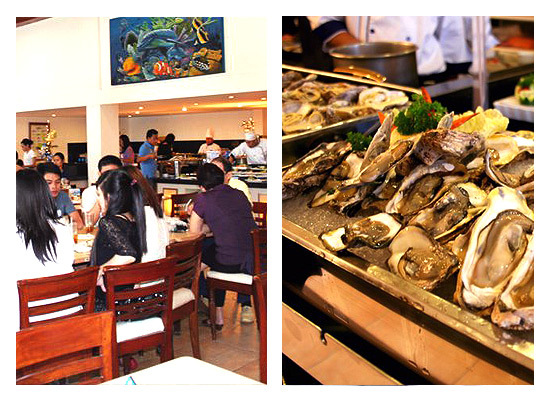 When it opened in August 2003, it was mainly an a la carte seafood restaurant, offering fresh seafood items. 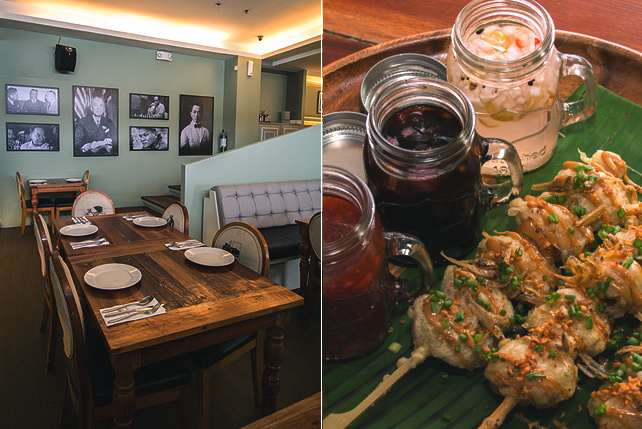 It has since expanded its menu to include lechon pork belly, beef tapa, and crispy pata, to name a few. 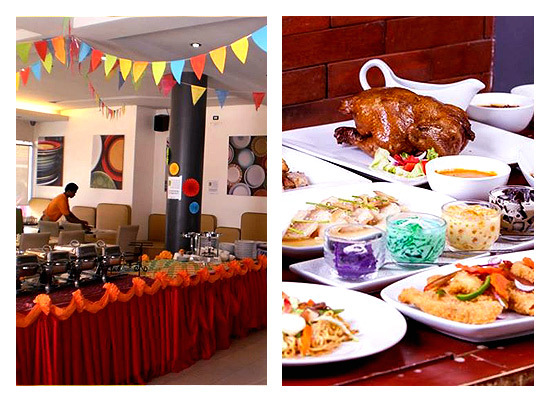 Price: P199 (Midnight and Morning Buffet, 12 a.m. to 10 a.m.); P299 (Lunch Buffet, Monday to Friday). Customers have over 40 dishes to choose from. Drinks cost an extra P60 for the Midnight and Morning Buffet. Other Deals: Drop by with at least one friend during your birthday week. You can dine for free with a valid ID. Somethin’ Fishy is at Unit B2 and B3 Eastwood Citywalk, Bagumbayan, Quezon City. They’re open daily, from 12 a.m. to 10 a.m., 11:30 a.m. to 2:30 p.m., and 6 p.m. to 10 p.m. For inquiries and table reservations, contact 0917-822-3283, 421-6412, 421-6413, 421-2121. Tramway actually started in 2001 as an a la carte restaurant. When buffets came into fashion, Tramway jumped on the bandwagon and became known as the affordable Chinese buffet, serving authentic Cantonese cuisine. Click here for a list of Tramway branches. A well-known Filipino buffet restaurant in the country, Kapampangan-themed Cabalen first opened its doors right after the EDSA Revolution. Its first branch was at West Avenue in Quezon City and now, it has over 10 branches around Metro Manila as well as in the provinces! 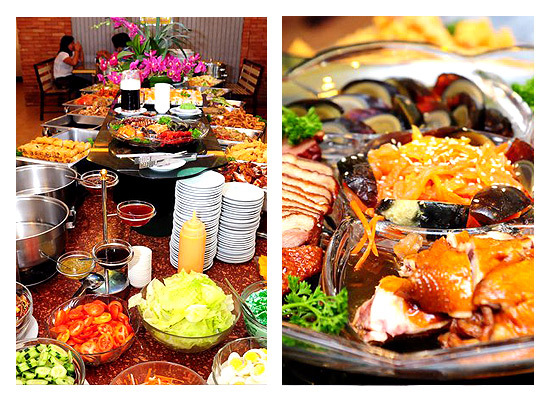 Price: P298 (All-Filipino Regular Buffet). Add P60 for bottomless drinks. 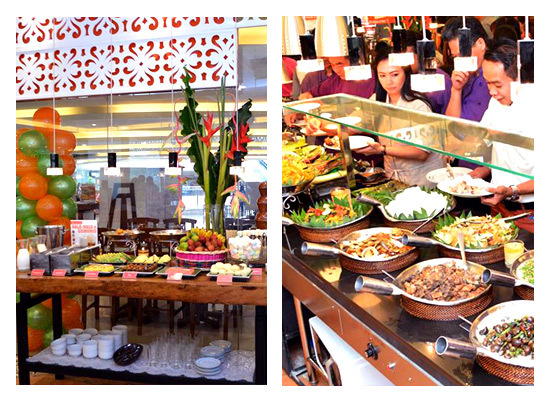 Other Deals: If you're feeling a little rich, try their Filipino-Asian Buffet available at the SM Megamall, SM Mall of Asia, and Robinsons Manila branches for P398. Click here for a list of Cabalen branches. 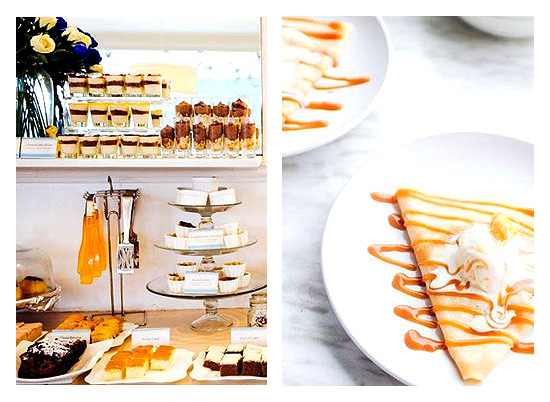 Spend your afternoon tea time at this dainty and chic café that serves unlimited dessert. Pasta and snacks such as siomai, siopao, and squid balls are also included in the buffet! 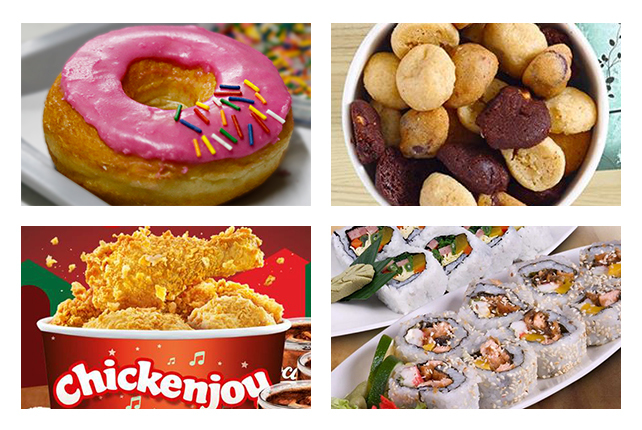 Price: P299, inclusive of bottomless drinks such as brewed coffee, Twinings hot tea, iced choco, and iced tea. You have three hours to finish your buffet dining! 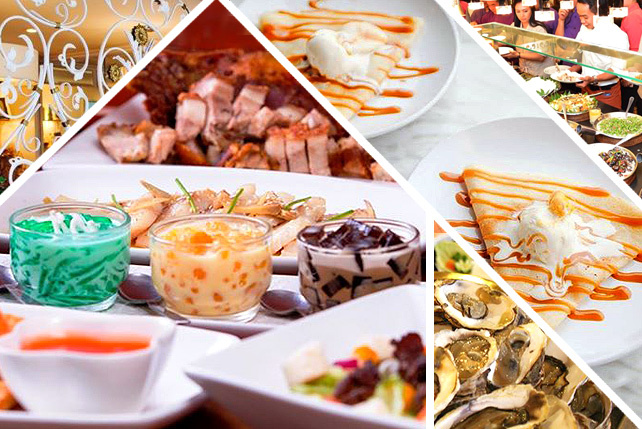 Other Deals: Birthday celebrators should bring four full-paying adults availing the P299 to eat for free. Bring a valid ID or your gift certificate, please! Gillian Gail Dessert Buffet is at 3/F 317 Oracle Hotel and Residences, Katipunan Avenue, Quezon City (294-6429); open daily from 11 a.m. to 11 p.m.
BigPlate believes that Filipino food should be enjoyed in big, generous servings, as in a comprehensive banquet. With this philosophy in mind, they make traditional Filipino food using ingredients and cooking methods from around the world. The result is a unique but familiar line-up of offerings. Other Deals: Within two weeks of your birthday, dine there with three full-paying friends so you can celebrate for free! Just bring a valid document to prove your birth date. BigPlate is at the Caltex Compound, J. Elizalde corner Presidents Avenue, Parañaque City (659-1234, 836-3832); open daily from 7 a.m. to 9 p.m.
Kowloon House started operations in 1964 as a humble noodle and dim sum eatery in a garage. It quickly gained a strong following over the decades and expanded its menu to include more filling Chinese dishes. 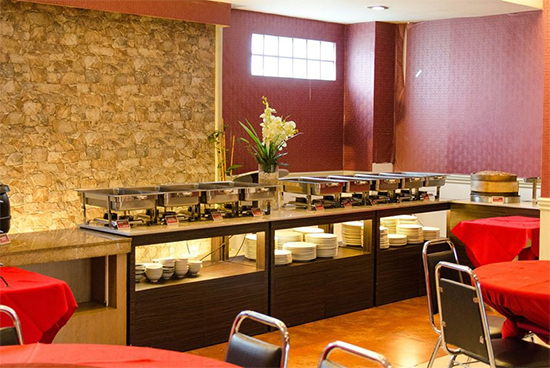 Other Deals: Kowloon House is also known for being a go-to place for reunions and receptions. They currently have Party Packages priced at P1,800 good for five to eight people and P2,800, good for 10 to 15 people. This package is inclusive of two hours' use of the videoke room and set meals. Kowloon House’s buffet is available at their West Avenue (372-3685) and Matalino Street (371-7902), Quezon City branches; open for 24 hours.